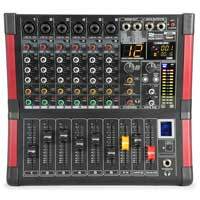 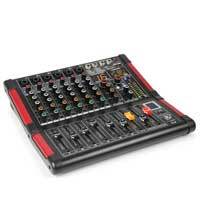 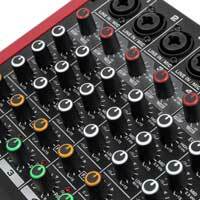 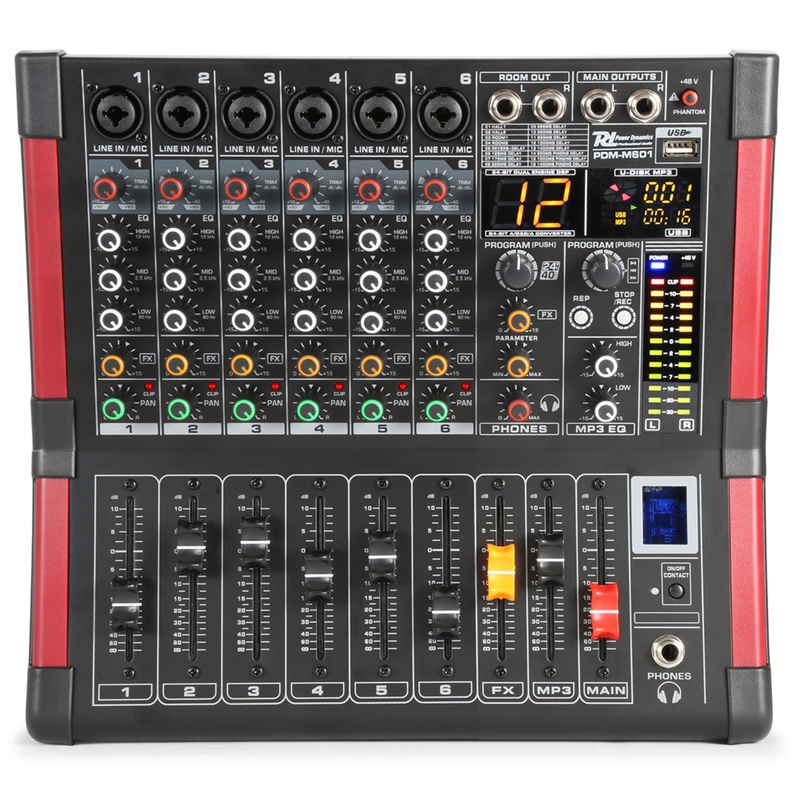 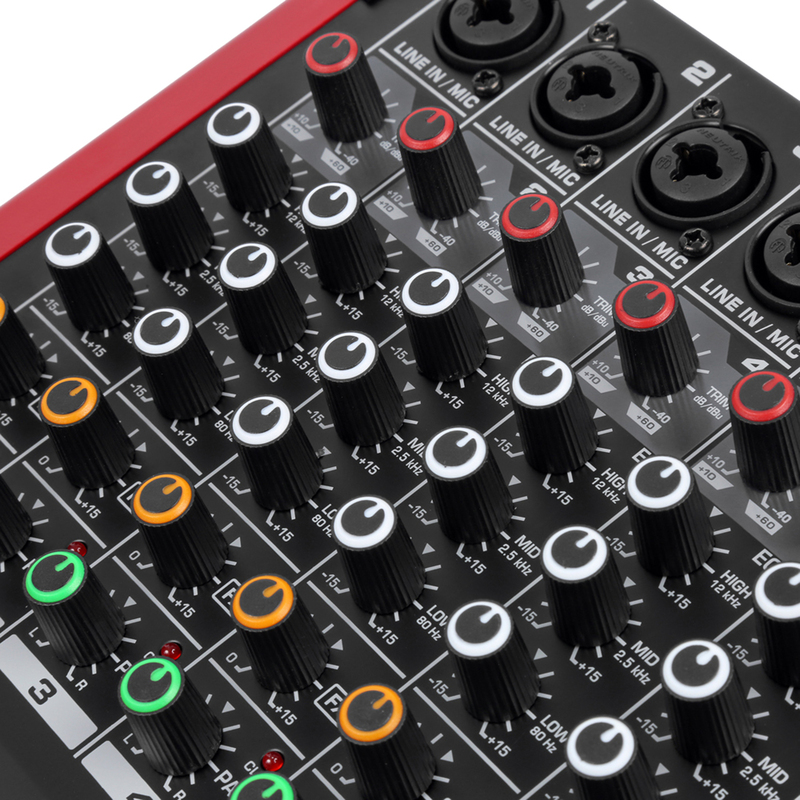 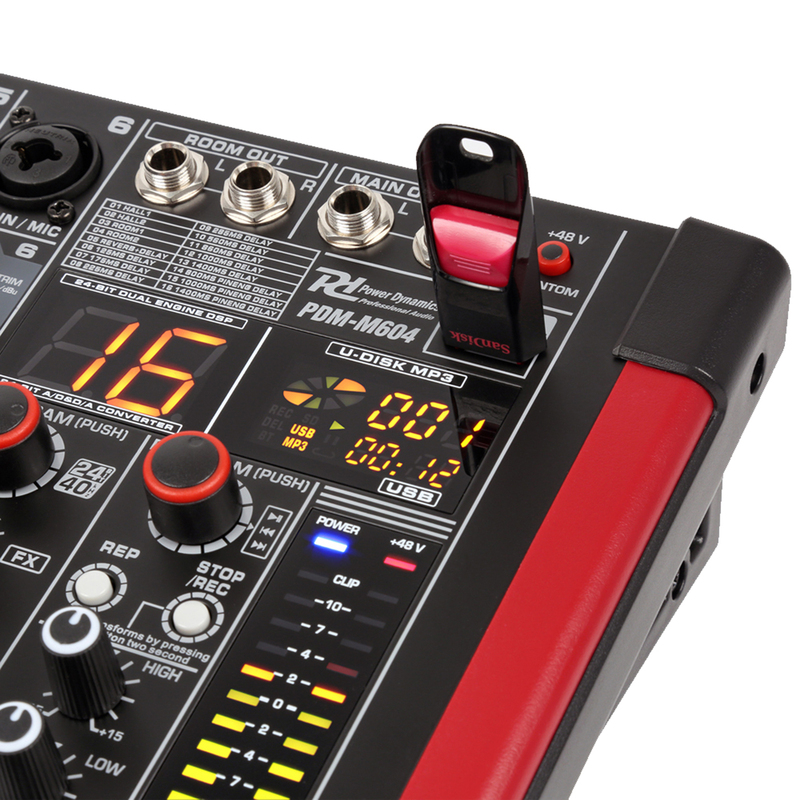 A full size music mixer with 6 channels. 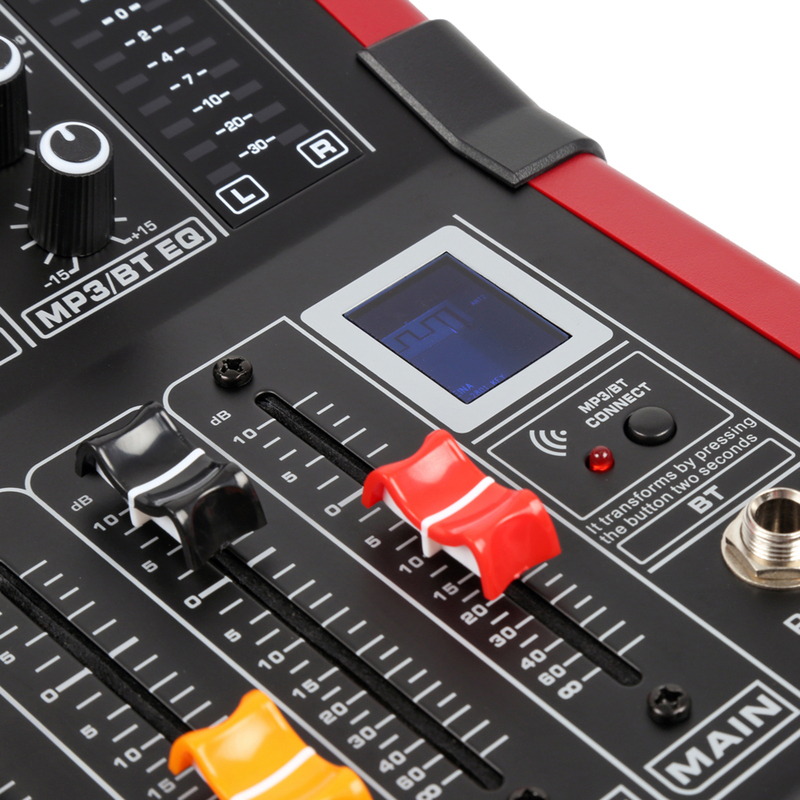 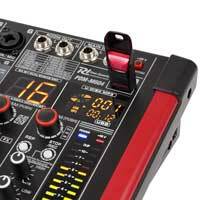 Comes standard with built-in BT receiver and 24-bit Multi-FX processor with 16 presets. 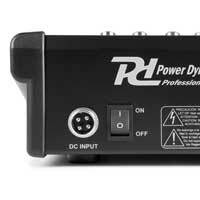 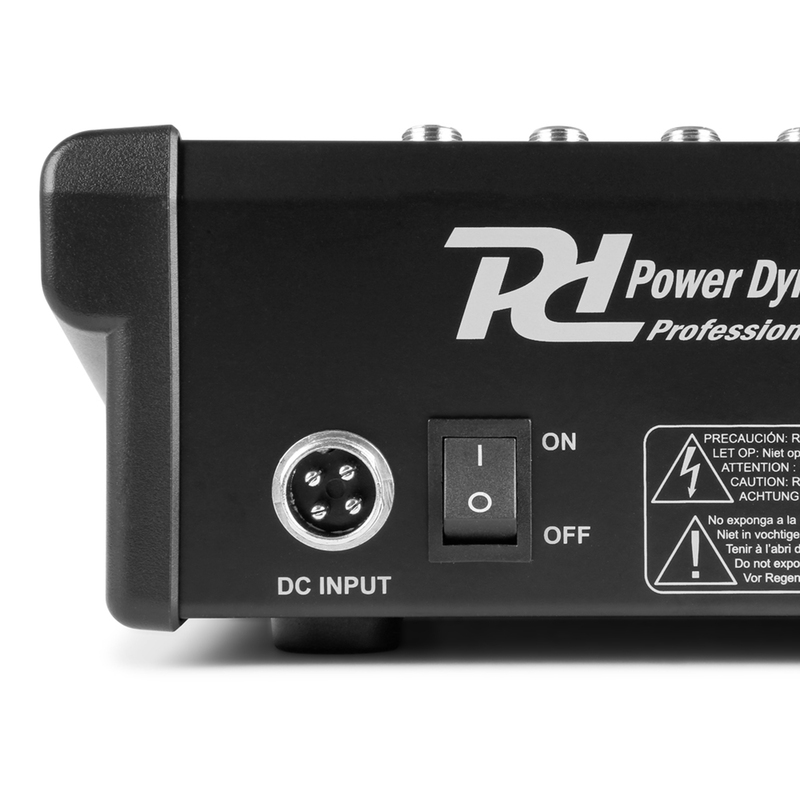 Ideal for usage in small to medium sized studio's and recording set-ups.